A leopard draped across an acacia branch, a cheetah nursing her cub in the high grass, a lion's mane fluttering on the breeze...of all the wild mammal experiences, it's the big cats that really get the heart going. And you're not just admiring them in repose - you'll be seeing them in iconic prowling mode, seeking their prey and basking in the sunlight. 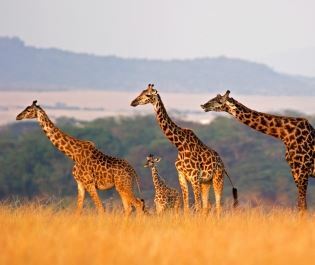 Discover Africa's abundance of this species. The big cats epitomise the theatre of an African safari. Lions are the easiest to find, the landscape's monarchs loving to bask in the open. Leopards and cheetahs are solitary and they love to hide, meaning many people will drive past a tree or floodplain and miss them. So we take pride in finding camps with the best safari guides. They spot the clues in an instant, then bring you closer until the proximity is unfathomable. Then there are the snarling hyenas, which might not be pretty but they're certainly exhilarating, especially when battling with young lions. Witness these magnificent animals in close proximity. 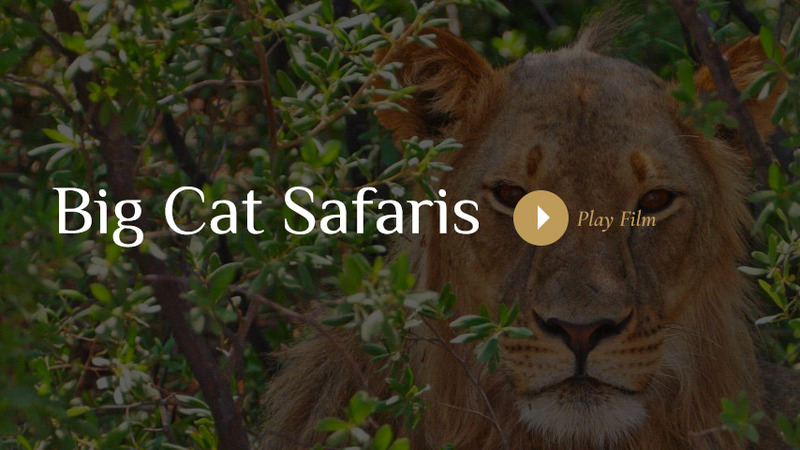 Most African safaris are big cat safaris. Just remember, it's rare that you see the big cats in isolation. They might be stalking a zebra herd, creeping close to baboons, or warding off circling vultures. You won't see it all in a single game drive though. 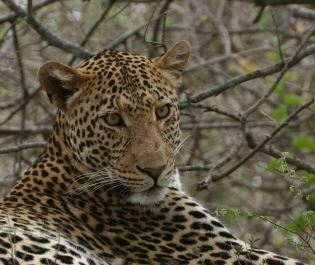 An authentic big cat safari requires a few days as these are not commonplace sights. 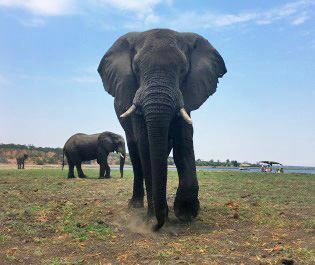 Ideally, we would recommend a week in order to enjoy the full beauty and drama of these majestic animals. Where to find lion, leopard and more. A few destinations are truly exceptional. 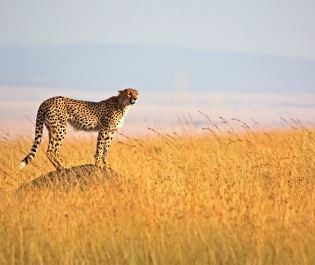 Open savannah and grasslands are best, as the visibility makes the cats easier to spot. 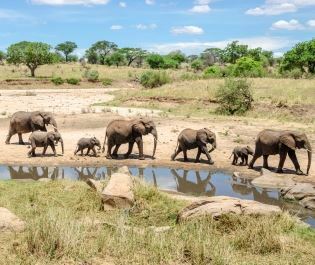 You'll have too many encounters to count in East Africa's Serengeti, Masai Mara, and Ngorongoro Crater, Kruger's leopards are legendary and the black manes of Botswana's lions take the breath away. 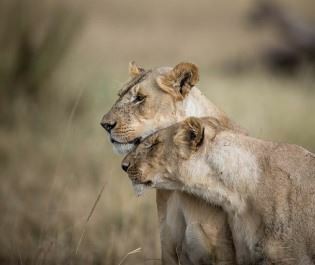 But big cats can be seen across Africa; we'll never forget two lions mating close to our camp in Tarangire, or a cheetah taking down a black-faced impala in Etosha. On a big cat safari we'll get you the best seats for the theatre. You're close enough to hear the strangled yelp, or the crunch as a jaw rips through bone. You watch black and white limbs getting torn from carcasses and smell the drama when a leopard is prowling. Just sit back and watch nature's drama unfold. 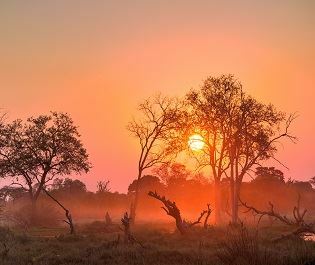 An unspoilt wilderness full of verdant wetlands, barren deserts and shimmering salt pans, Botswana is rich in diversity and home to some of our most indulgent lodges. Home to some of the most spectacular wildlife and rustic camps, Kenya offers a classic East African safari experience that always takes our breath away. 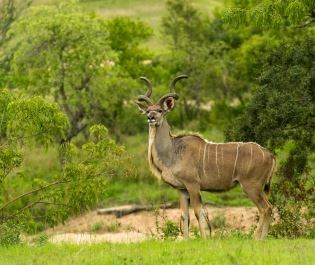 Often described as a world in one country, South Africa’s diverse landscapes of desert, forest, beach and savannah offer the ideal sceneries for a first-time safari.